Seeing the world through rose-tinted glasses is lovely, but have you ever tried wine-tinted? 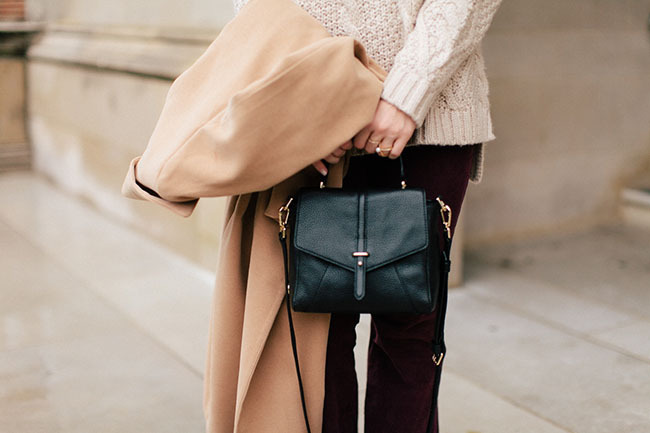 This deep burgundy, oxblood shade is perfectly fall-y and completely romantic – one hue you should definitely be throwing into your wardrobe this season. 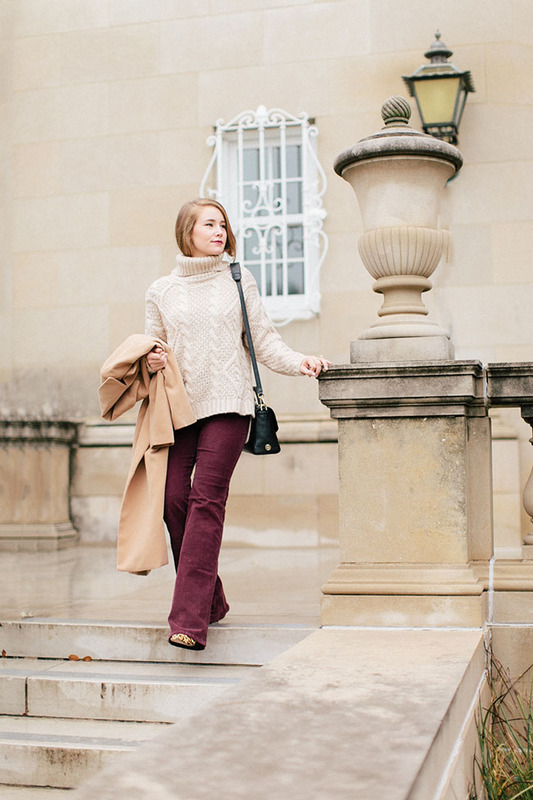 It’s rare I find a colored pant that I love, but these corduroy flares have certainly earned that rare title. The fit is very flattering, which is tricky to come by in flares, and the color? To die for! (Order one size down, they run big.) Dress them up in a feminine blouse and leopard pumps (mine are 40% off!) 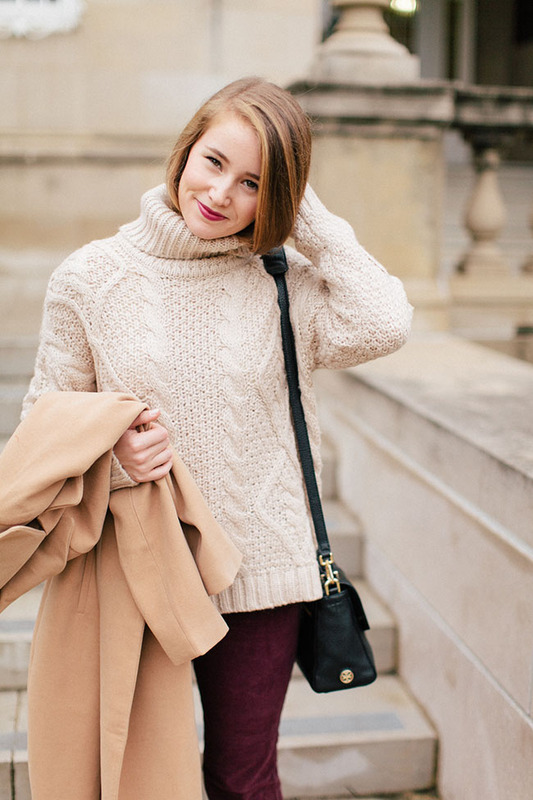 or bundle up in a chunky sweater and coat for a day out in the cold. Finally, a word on the “cherry on top” of this outfit. The lip color! It’s called Rebel, and it’s a shade I can honestly say looks amazing on every skin-tone I’ve seen. The perfect way to shake up your winter beauty routine! At a great price point and amazing quality, I can’t recommend it enough. Alrighty friends… today is the day! I’ve been hinting at an impending adventure over the past few days, and departure day has finally arrived. Be following on Instagram (@lonestarsouthern) and Snapchat (lonestarsnaps) to be the first to know where I’m headed! Wine-tinted glasses are much better! This is honestly one of my favorite looks of yours, those flares are simply amazing. 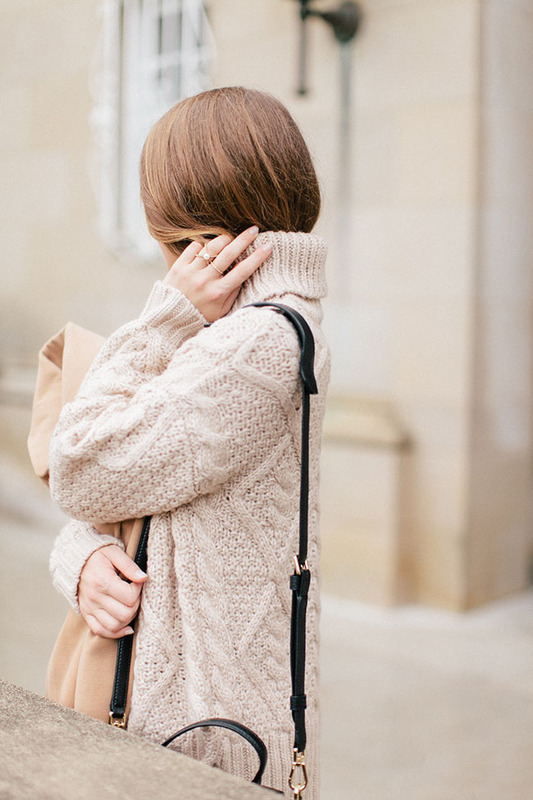 And paired with the sweater, so cozy and exactly what I wish I was wearing today! Hope you have so much fun on your little adventure! These pants look great on you!! I love the fit and flare. What a cool space to shoot in too! Absolutely gorgeous! I love every part of this outfit!! I’m obsessed with those pants! Corduroy and flare?! Perfect combo! 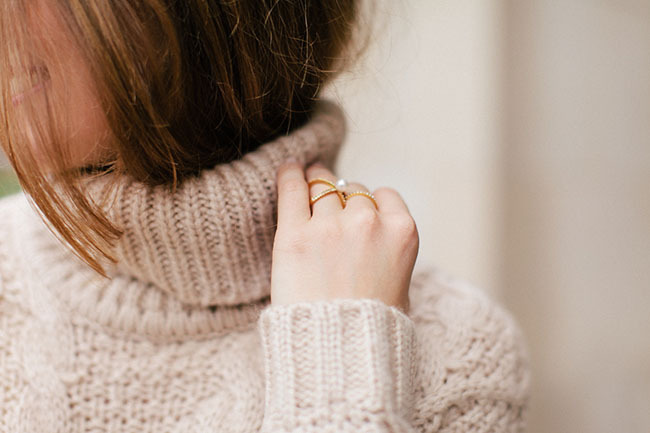 This chunky sweater looks unbelievably cozy! And I’m loving the color combination of cream with wine. Have a great Monday! Looks so warm! How about rose colored glasses for spring &!wine colored for fall! 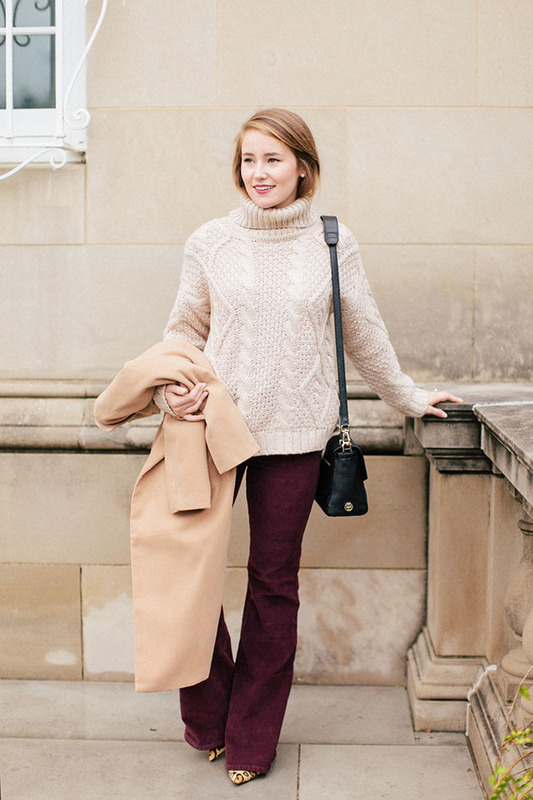 I love this outfit for fall, it’s a nice change of pace from the usual. Have fun it Paris! Just order this sweater cant wait for it! OBSESSED with this whole look!! 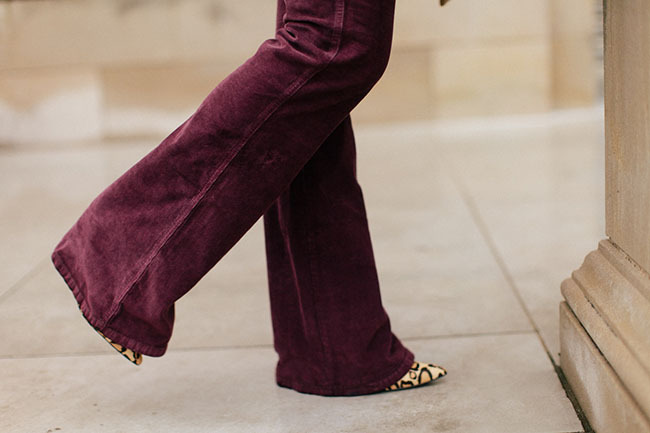 Great colors and I especially love the leopard print shoes and wine colored flares!